Over 2 million American have an irregular heartbeat. If you have an irregular heart beat and looking to get information on obtaining life insurance coverage this article will let you know what questions you should be ready to answer, so that you can get an accurate quote. The good news is that you typically can qualify for life insurance with Arrhythmia or an irregular heart beat. 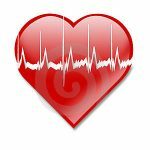 This article is going to look at how an irregular heartbeat is going to impact your life insurance rates and ways that you can save money on your life insurance policy. Life insurance is one of the best safety nets that you’ll ever purchase for your loved ones. It’s one of the few ways that you can guarantee that your loved ones have the money that they need, even if something tragic were to happen to you. The first thing to do when applying for life insurance is to be honest and upfront in your application. If you have seen a physician for the irregular heartbeat the insurance company will find out anyway, and you are better off letting them know. Even if they don’t find out, lying on your life insurance application can result in your family not receiving a death benefit if the insurance company finds out you lied (typically in the first two years of a policy). 1) When were you originally diagnosed? 2) What has been the past treatment, and current treatment? 3) Do you take any medications for the irregular heart beat? If so for how long, quantity taken, and how often? 4) How often do you see your physician? 5) Do you have any other health conditions – such as high blood pressure, high cholesterol, diabetes, etc..? 6) What is your lifestyle like? Do you eat right and exercise? 7) What tests have you had and when were they last done (Such as Resting EKG, Echocardiogram)? When you apply for life insurance, the company is going to review dozens of different factors to decide how much they are going to charge you for coverage. Your irregular heart beat is one of the factors that the company is going to look at. There are several changes that you can make that will save you month every month on your insurance coverage. The first thing that you should do is cut out any tobacco that you currently use. If you’re a smoker, then you have a higher risk of being diagnosed with severe health complications, like a heart attack or lung cancer. That means that you’re going to be considered a high-risk applicant. If you smoke, you can expect to get drastically higher rates compared to what you would get if you didn’t smoke. In fact, smokers are going to pay twice as much for their insurance protection. With some companies, you’re going to pay three times more. Quitting smoking can save you thousands of dollars every year. Another way that you can save money is to improve your overall health. Before the insurance company approves your application, they are going to require that you take a medical exam (unless you buy a no exam policy), and the results of the exam are going to play an important role in how much you pay for your coverage. Before you apply for life insurance, take the time to improve your health. Losing weight can cut your premiums by 50% or more. The best way to ensure that you’re getting the lowest rates is to get dozens of quotes before you decide which one is best for you. Every company is different, and all of them are going to offer you different rates depending on their underwriting and rating system. When you’re buying a new car, you don’t buy the first one that you see, why would you do the same with life insurance? Finding the perfect plan is the difference in getting an affordable policy or one that is going to drain your wallet every month. There are hundreds of companies on the market, which means that you could spend days calling different companies. Instead of wasting your time calling all of those companies, let one of our independent insurance agents do all of that hard work for you. Unlike a traditional insurance agent, our independent agents work with dozens of highly rated companies across the nation and can bring all of the best quotes directly to you. We know that shopping for life insurance can be difficult, but that’s why we are here to help. It’s our mission to ensure that you’re getting the best plans possible. You never know what’s going to happen tomorrow, which means that you shouldn’t wait any longer to get the insurance protection that your family deserves. If you have any questions about getting life insurance as an applicant with an irregular heartbeat, please contact one of our agents today. We would love to answer those questions and ensure that you’ve got the best rates possible.